Hannah Craik, Global Head of Social Media, gave a talk on how ASOS builds affinity at scale with a unique social media advocacy program at Hub Forum in Paris on Wednesday 8th October. Influencer relations have long been challenged for their lack of scalability in B2C environments. Scaling up to reach a wider audience whilst keeping the relevance and personal side of influencer relationship is a holy grail for many social media marketers. Looking beyond top bloggers at individuals who have built smaller scale highly engaged audiences across a variety of networks, from YouTube to Instagram is opening new opportunities for brands looking for scalable and profitable ways to leverage on line advocacy. Paving the way is online fashion retailer ASOS with is #AccessAllAsos advocacy program. As a leading place for “20-something to share ideas and trade with each other”, ASOS has historically built a strong social media presence. 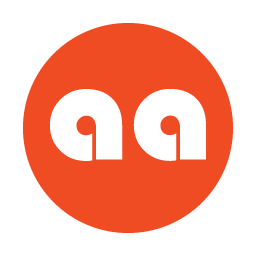 The #AccessAllASOS program has been launched in October 2013 to further expand the presence of the brand online and to deliver authentic advocacy and brand recommendation online. "ASOS is a WOM brand. Recommandation is so important, it should be enough to drive the growth that we want to drive." The mechanics of the program is based on the recruitment of selected members based on their impact on social media and their natural positive inclination towards the brand. Selected members are then given access to a number of pieces of content or opportunities that aim to provide natural opportunities for social sharing. The ambition and the risk of the program is that members have no obligation to share content online, nor any benefit in doing so. Whilst members naturally understand why they are selected into such program, no mention is explicitly made of what would be “expected from them”. One-to-one engagement as a foundation of the relationship: A personalized welcome gift was sent to each individual member that reflected the personal interests of each of them identified by reading through their social publications. This generated very positive engagement from members to the program and proved critical to ensure engagement on the future content propositions. Exclusive engagement to selected members: A Swapshop held at ASOS HQ gave the opportunity to program members to bring up to 3 pieces with them and swap for other members’ items or selected ASOS pieces. Wider opportunities accessible to all program members : Leveraging the launch of new products, members were given an early peek at Puma x ASOS collaboration. Selected images from members have been published on ASOS’s huge Facebook fanpage. Other selected individual have even been given control over the brand’s Pinterest board for a week each. 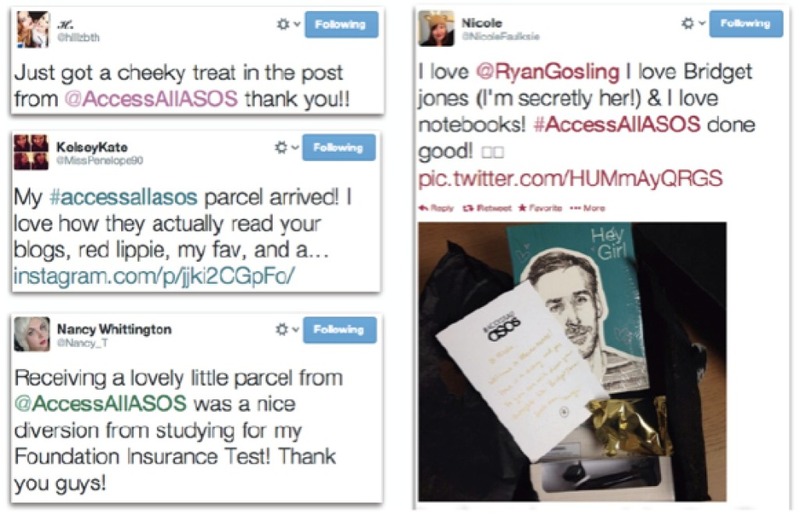 ASOS understands that building relationship is not about asking, it is about giving; and proves it. Using the best influencer platform to manage online relationships was key to be able to manage the scale of the program and provide adequate measurement to the ASOS teams and support this initiative. "Our KPIs were how many people have we got in our programme, how much are they talking about us on social and how much traffic they’re driving back to our website"
Results have been outstanding: each member created and shared more than 10 pieces of content, including blog posts, Instagram posts, tweets… in just a couple of months. Spontaneous mentions of the ASOS brand multiplied by 600%. Referral traffic from the program to the ASOS website exceeded targets. ➢ Maintain or increase the level of engagement of members over time by providing the right mix of personal and more general content over time. Avoid the pitfall of investing just on scale and forget about affinity. ➢ Segment program members based on their preferences and the impact generated by each opportunity of the program. 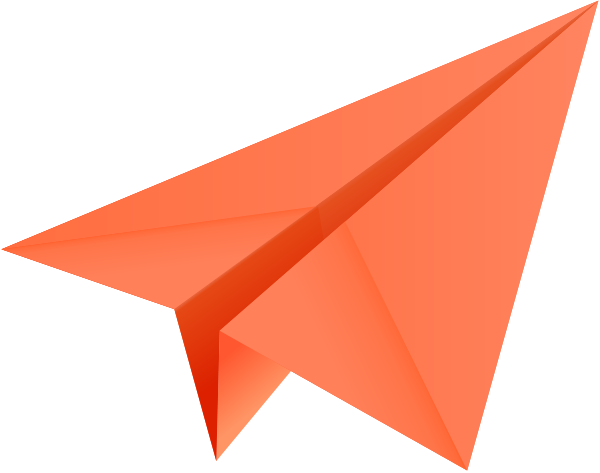 This will enable the brand to optimize investments and proposition for each group of program members and build proper ROR (Return on Relationships) by individuals.